It is rightly said that although India may boast of unity in diversity, there is actually just one religion that we all practice, and that without a doubt is cricket. Heck, we even have a God of Cricket! And as all our Gods have their own festivals, the Indian Premier League is the festival of Cricket. 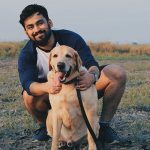 Each year, the multi-milliion dollar franchise snowballs into an even bigger, grander, and exhilarating version of itself, and the one thing we look forward to, are the Indian Premier League campaigns that take over our television sets, social media pages, YouTube videos, and sometimes even our WhatsApp forwards. From the inaugural Manoranjan Ka Baap, to the very recent India Ka Tyohaar, IPL is about to turn 10 this year, and the franchise has produced numerous successful campaigns in their rear view mirror. The very first advertising campaign from the Indian Premier League, it could probably be one of the most memorable and quirky campaigns from the franchise. Owing to it being the first season of the IPL, the campaign was carried out on a huge scale, and was conceptualized by TBWA. Also conceptualized by TBWA, the campaign for the second edition of IPL needed to bring out a strong connection to all the cricket crazy people back in India, as the tournament was held in South Africa. As IPL returned to India once again for the third edition of the campaign, came the need to make their arrival known. Putting pride and patriotism at the centre, IPL aimed to evoke pride in the hearts of Indians. ‘Saare Jahan Se Acha’ was designed by JWT India. The weapon of choice for any political party in the country was turned into a cricketing vacation for one and all, ‘Bharat Bandh’ described the standstill that we all are used to during a cricket match. Also one of the funniest, and satirical advertisements from IPL, it was conceptualized by JWT India once again with an aim to follow up and make it bigger and better than the recently concluded ICC Cricket World Cup, the Olympics for Cricketing nations all over the world. The tune that IPL is synonymous with arrived during the fourth edition of the Indian Premier League. Once again, a testament of how the country is thrown into a cricket frenzy, and normal life is ground to a halt during a cricket match. ‘Tashreef Tokra’ showed people carrying chairs, stopping wherever they are, sitting down to watch their favourite game. ‘Aisa Mauka Aur Kahan Milega’ captured the euphoria around Cricket, which supersedes everything else in the life of an Indian fan. This time around, IPL collaborated with Farah Khan to raise the entertainment quotient, going door to door to teach the IPL dance step. ‘Sirf Dekhneka Nahi’ was designed to get the fans to participate and engage in the conversation and excitement around IPL, but can be termed as one of the forgettable attempts considering the success of previous campaigns. It was conceptualized by Havas Worldwide India. Back for the 7th edition, the Indian Premier League had already established itself into the minds of audiences. They reflected their dominance and fan’s preference towards them with ‘Come On Bulava Aaya Hai’ inviting people. People from all walks of life are shown dropping everything they are doing immediately, hospitals, courtrooms or offices, making their way back home to watch the Indian Premier League. ‘Come On Bulava Aaya Hai’ was created by DDB Mudra. India Ka Tyohaar, was promoted accordingly, as the festival that unites one and all, with the ambition of crafting one of the biggest ever Indian Premier League campaigns . Striving to outdo themselves year after year, IPL threw their weight behind Cricket’s ability to unite Indians, to cast away all their differences and congregate in front of the TV screen to devour the entertainment on offer. Last year, IPL arrived with a wish, and a message, ‘Ek India Happy Wala’ reflecting the mood of the country at the time, pushing for happiness, unity and harmony between all. Once again leveraging the power of Cricket to bring people together, realizing the ability of IPL, the franchise offered an alternative to all the violence, hatred and anger that had poisoned the nation, an alternative that unites, the Indian Premier League. 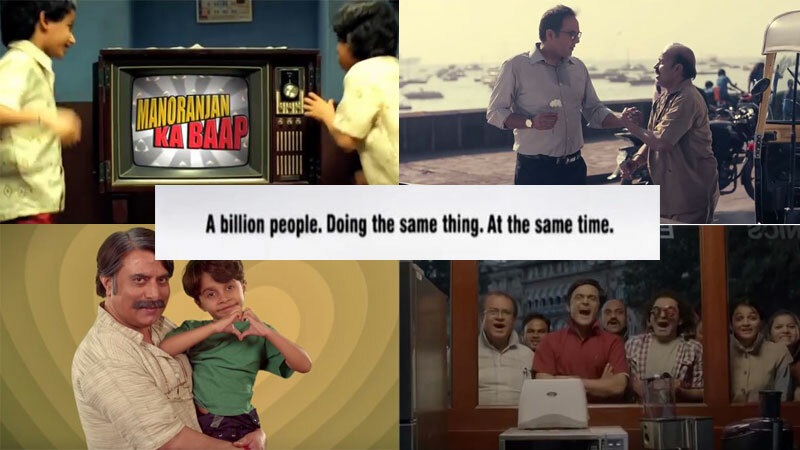 ‘Ek India Happy Wala’ was created by DDB Mudra for the third straight year. As India’s favourite cricket league turns 10, Vivo IPL 2017 launched 10 Saal Aapke Naam, a celebration with a catchy anthem! Conceptualized by DDB, the campaign will see more videos and spots in the coming days. Indian Premier League campaigns have been one of the most creative ones over the years. With the progressing sport, we hope the creativity progresses too. Are animals better brand ambassadors than humans?